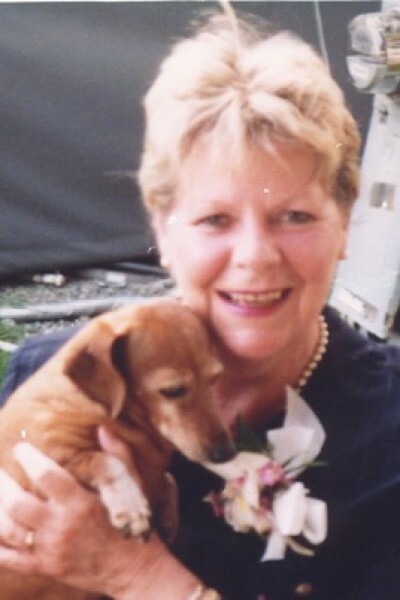 Obituary for Patricia Margaret (Page) Sidenius | Qualicum Beach Memorial Services Ltd.
Patricia Margaret Sidenius, age 74, of Vacation Village Qualicum Bay passed away peacefully on January 31, 2019 in Nanaimo B.C. Pat is survived by her mother Madge Page, her daughters Sarah Champoux (James), Katharine Sidenius (Christian Macfarlane), and her grandchildren Megan, Paige, Aiˆla and Loiˆk. Most importantly, she leaves behind her faithful canine companion Spike. Her passing was preceded by her husband Leonard Champoux, and her father Dudley Page. Pat loved life and lived on her own terms. She loved her family, the RV lifestyle, warm weather, dachshunds, good company and laughter, her Blue Jays, and homemade wine. Most of all, Pat loved people. She believed in second chances and the integrity of a handshake. She ran her businesses and her life trusting in the goodness of those around her, and it made her one of a kind. She had a zest for life that is unmatched. She was a faithful friend and was undoubtedly comforted during her last chapter to have her longstanding confidant Ruth Halldorson by her side until the end. A celebration of life will be planned for May. In lieu of flowers or donations, she would ask you to buy a bottle of wine and raise a glass in her honour.